SAN MARCOS — April is National Child Abuse Prevention Month. Casa de Amparo is encouraging all individuals and organizations to play a role in making San Diego County a better place for children and families this April 2014 and throughout the year. In celebration of the National Child Abuse Prevention Month, Casa de Amparo honored and community members, volunteers and staff in several special ways. 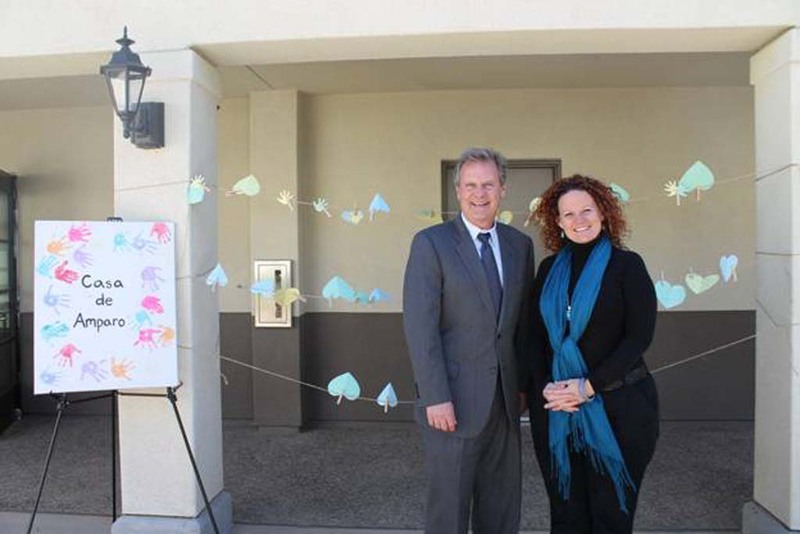 On April 3, a Come Home to Casa open house was launched at Casa Kids Campus, with pledges against child abuse raising $11,000 worth of essential baby and teen items. One guest of honor included San Marcos Mayor Jim Desmond, who signed a pledge in support of Child Abuse Prevention Month. In alliance with National Volunteer Appreciation Week, on April 10 Casa de Amparo hosted a Volunteer Appreciation Party, honoring more than 7,000 hours of donated time and talent during the past year, worth $175,000. Nearly 100 volunteers were recognized for mentoring youth, organizing event details, and taking on leadership/governing roles, and being a critical part of the agency’s success. Finally, Tayra Contreras, a Casa de Amparo staff member for 17 years, became a nominee for the Child Abuse Prevention Coordinating Council (CAPCC) 2014 STARS Award for her dedication to treating and preventing child abuse and neglect. As a program specialist, she works behind the scenes to handle logistics for both staff and Casa Kids. Contreras’ peers describe her as always smiling, with a warm, positive, nurturing, and supportive attitude. Contreras still receives phone calls and stays in contact with former residents she has worked with during the past two decades, who often visit and thank her for all that she’s done. Community members who would like to play a meaningful role in preventing and treating child abuse and neglect can contact Jasmine Shafik, Public Relations Coordinator, at (760) 566-3561 or jshafik@casadeamparo.org.